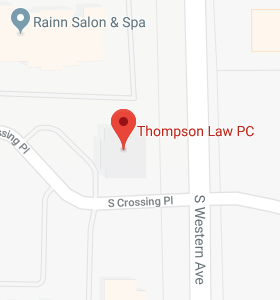 A New Opportunity for Planning for Individuals with Disabilities - Thompson Law, P.C. In December 2014, the Achieving a Better Life Experience (“ABLE”) Act was signed into law by President Obama. The Act provides a powerful new planning tool for individuals with disabilities and their family members. The purpose of the Act is “to encourage and assist individuals and families in saving private funds for the purpose of supporting individuals with disabilities to maintain health, independence, and quality of life.” The Act achieves this purpose by allowing for the creation of tax-exempt savings accounts (known as ABLE accounts) for individuals with disabilities. The ABLE Act provides an option for individuals with disabilities to simultaneously build tax-exempt savings for their future expenses and maintain their eligibility for programs such as Supplemental Security Income (“SSI”) and Medicaid. Funds contributed to an ABLE account will “supplement, but not supplant” the benefits provided by SSI, Medicaid, and other public benefits. Those who choose to open an ABLE account should be aware that certain limitations apply. For instance, an individual with a disability may only have one ABLE account. The ABLE Act also limits the amount that can be contributed to an ABLE account each year, and limits the total amount that can be contributed to the ABLE account over time. Currently, the total annual contribution that can be made to an ABLE account for the benefit of an individual with a disability is $14,000. The total maximum amount that can be contributed to an ABLE account over time will be set by each individual state. Further, funds in an ABLE account can only be used for “qualified disability expenses,” which include expenses for education, housing, transportation, employment training and support, assistive technology and personal support services, health, prevention and wellness, financial management and administrative services, legal fees, expenses for oversight and monitoring, and funeral and burial expenses. So, when can you open an ABLE account? The answer depends on the state in which you reside. Each individual state is responsible for establishing an ABLE Program. While many of our surrounding states, such as Nebraska, Iowa, North Dakota, and Minnesota have passed legislation to establish ABLE programs, the South Dakota legislature has not yet considered the issue. Hopefully, this issue will be considered during the 2016 legislative session in order to provide this important planning option to South Dakotans.